I guess skincare companies have decided to teach A…B…C…. I hope you all know about BB creams now. 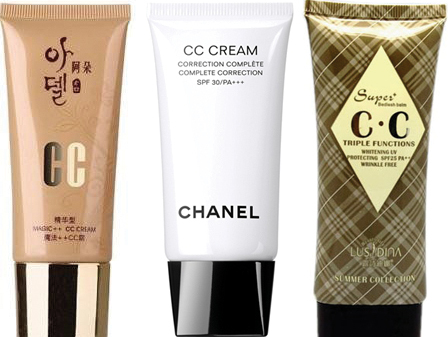 After the great success of BB creams now its time for CC cream. CC stands for color corrector. BB creams used to work only blemishes and dark spots but CC creams will not only work for blemishes, dark spots but also for discoloration and uneven skin tone along with providing coverage. The benefits don’t end here, it will also provide long term benefits for fine lines, wrinkles, aging. I called BB creams Super creams but CC creams are Super Super creams. CC creams are next version of BB creams. Its really great that our makeup will cure our skin problems too. This looks really interesting and I am very excited to use them.